Occupied with the medium sculpture, the artist’s work often remains in a state of abstinence. His practice consists of ‘attempts’, ‘thoughts’, ‘study’, ‘ekphrasis’ (vivid description of an image); singular moments in the creative proces that precede each form. Wald journeys through the process of sculpting, keeping most of his work in an eternal state of ‘becoming’. He considers the medium in its material and historic reality. Instruments, artefacts, raw materials, waste products; even the muse is integrated in his practice. 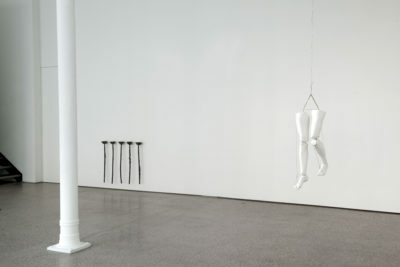 Casting tubes for example are a recurrent object in the exhibition. They literally stand between the meaningless material and the concrete form. Each tube is assigned a quality in the title, for example ‘Joie, tristesse, dégoût, colère et peur’ (‘joy, sadness, disgust anger and fear’), but the actual execution shifts to the viewer’s space of imagination. In the absence of ‘finished’ sculptures as such, fundamental questions are raised. ‘How to assign meaning to a form?’ Or in reversed mode: ‘How can abstract notions, such as feelings or artistic ambitions, and immaterial phenomena such as time or movement be materialised?’ ‘Is form, as mimesis or expression at all possible?’. 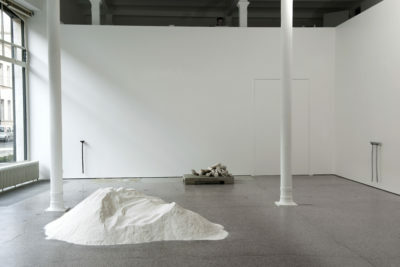 The pile of marble is posed in the centre of the room as a moment of semantic crisis. The artist often opts for open and multiple structures of meaning. 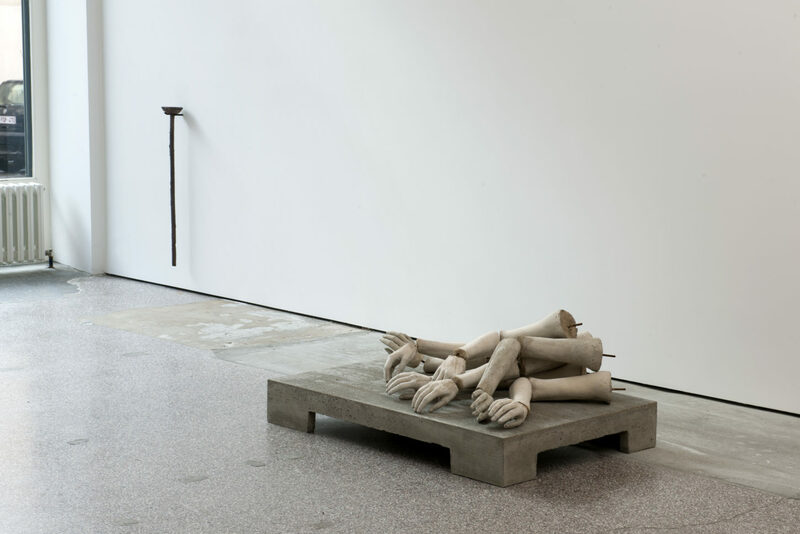 Posed on a pedestal are seven arms in a different position: ‘Several attempts at forming an adequate gesture of beauty’ . 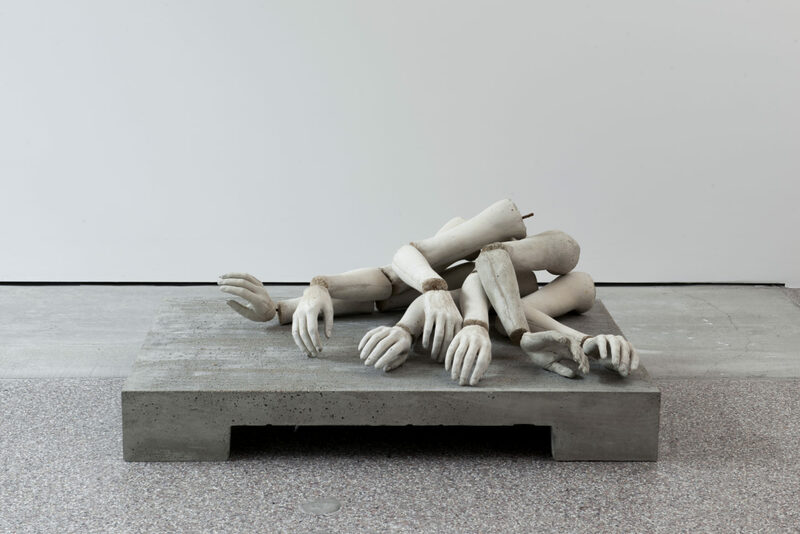 Each arm originates from the same cast but by leaving out the joints it was possible to bent and twist them into different gestures after the casting. Fundamental doubts about the feasibility of the sculptural representation of beauty, as expressed unconsciously in the motion of a live body, are ingrained in the conception of this artwork from the outset. The idea of movement is prolonged in ‘Untitled (shown as: Nu descendant un escalier)’. The cords of the titel-less body allow it to be shown in any pose. 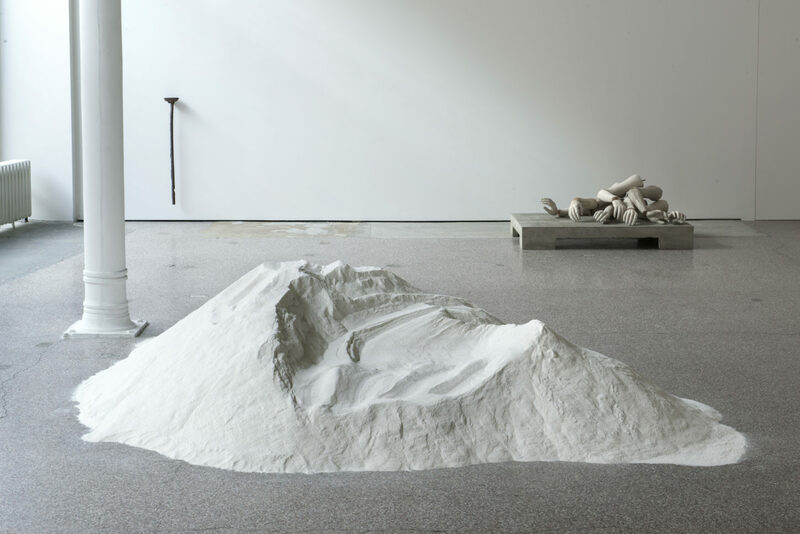 Introducing the notion of time and motion, the work escapes the reality of a sculpture. 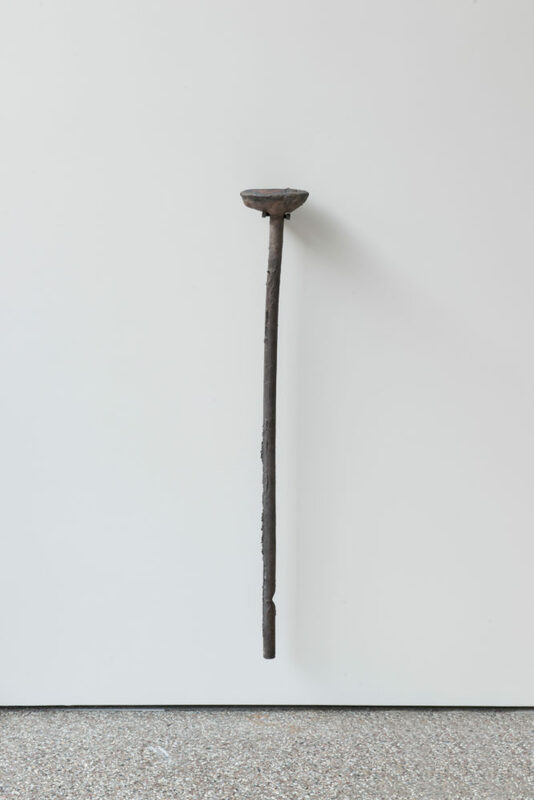 ‘Untitled (stade du mirroir)’ obtains its significance through the ‘sculptural’ process. The more the surface is polished, the more information it gives away. This work can be considered as a seldom attempt to completeness, to uniformity of meaning, but in the final stage of the proces, a prefect mirrored image, artist and spectator only find themselves. 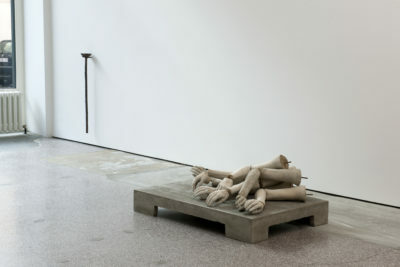 Though his work can be read in the conceptual tradition, Wald’s interest in the classical techniques of bronze casting and stone hewing and the use of natural materials such as bronze, marble, aluminium and plaster make the physical experience of his work just as pleasant as the intellectual challenges. Johannes Wald (1980, Sindelfingen) lives and works in Berlin. An exhibition together with Esther Kläs is planned later this spring in the Kunsthalle Bielefeld. 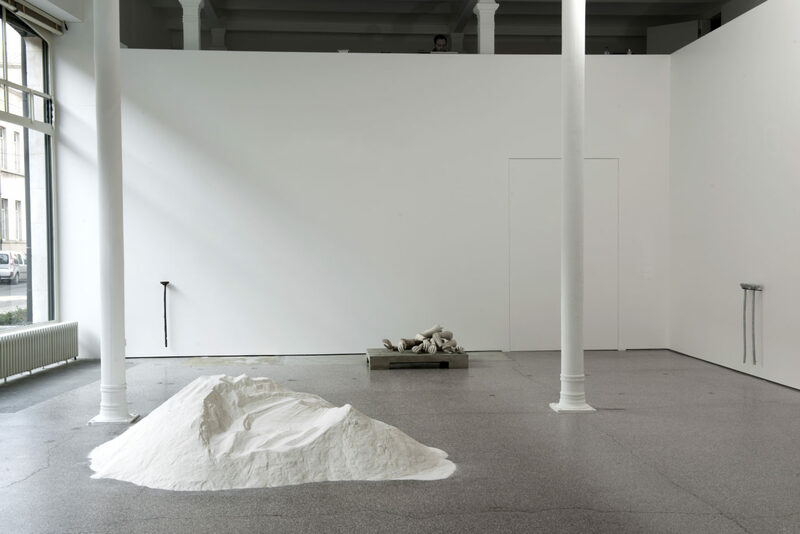 He had recent solo shows in Museum Kurhaus Kleve (2014) and the Staatiche Kunstsammlung-Albertinum, Dresden (2013). 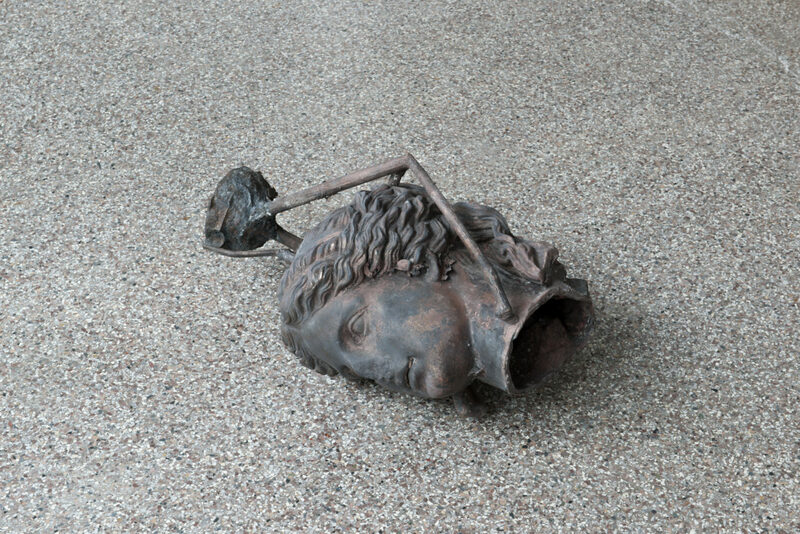 His works were also included in group shows at the Ostsächsische Kunsthalle, Pulsnitz (2013), Kunsthalle Bielefeld (2012), Kunsthalle Mannheim 2012) and Städtische Galerie, Sindelfingen (2011).